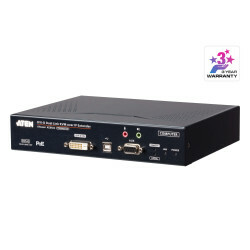 KVM Modules & Accessories - Fil-Nippon Technology Supply, Inc.
KVM Modules & Accessories There are 13 products. The KA7120 PS/2 KVM Adapter Cable connects the KVM switch to the video and PS/2 mouse and keyboard ports of the target computer. 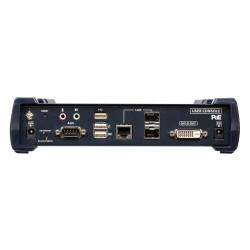 With its small form factor and light weight design, it represents the next generation of PS/2 KVM Adapter Cables - offering superior signal compensation and delay skew techniques for greatly enhanced video quality. 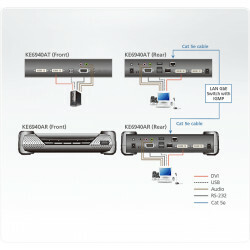 The KA7168 KVM Adapter Cable connects a KVM switch to the HDMI video and USB ports of a target computer. The KA7169 KVM Adapter Cable connects a KVM switch to the DisplayPort video and USB ports of a target computer. 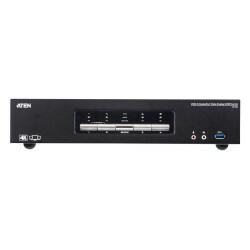 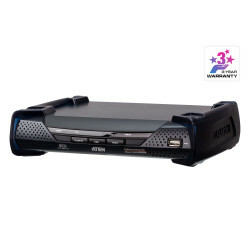 For smooth operation and added convenience, ATEN´s KA7171 USB-PS/2 KVM Adapter Module is designed to provide a full console connection locally in a KVM over IP Switch or Matrix KVM* installation. Simply plug the CV100KM into any computer and its onboard microprocessor emulates an actual keyboard and mouse! 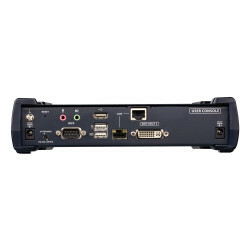 Operate and boot normally with or without a real keyboard and mouse connected. 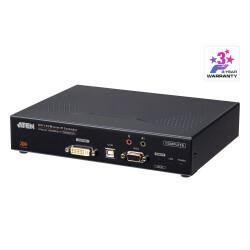 CV131B is a signal converter specifically designed for SUN systems. 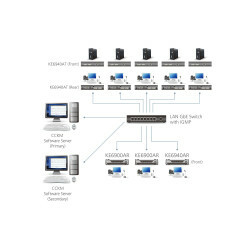 They can be used with KVM switches. 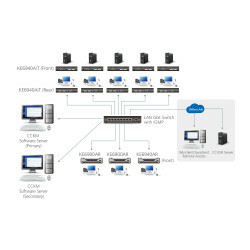 Both models are easy to install and can be configured via the hotkeys on the keyboard.